Is cutting calories only some of the time the secret to achieving your weight-loss goals? Here's the lowdown on the 5:2 Diet, time-restricted feeding, eating vegan before dinner, and more part-time diets. You know what dieting demands: cut calories, go hard on veggies, exercise, and repeat, well, forever. But what if you could hit pause on dieting once in a while, but still reap weight-loss benefits? That’s the premise of part-time diets. “ ‘Part-time dieting’ is an umbrella term for eating styles that let you be flexible with the hours, days, even weeks that you cut calories,” explains Courtney Peterson, PhD, assistant professor in the department of nutrition sciences at the University of Alabama at Birmingham. And recent research is starting to uncover how different methods may make it easier to shed pounds and improve health. No, dieting part-time doesn’t mean you can go crazy on burgers and fries when you’re not watching your calories as closely—and there’s no one-size-fits-all plan. Here, our experts dive into ways you can try this trend and how to customize it just for you. Despite the name, the fasting-mimicking diet (FMD) doesn’t actually involve fasting. You restrict your calorie intake for five consecutive days, every three to four months, on average. The evidence behind the method: In a clinical trial, when healthy adults did FMD (eating around 1,100 calories on the first day, and about 750 calories on days two, three, four, and five) once a month for three months, they saw drops in body weight, total body fat, and blood pressure, while the people who followed a normal diet did not. How does it work? 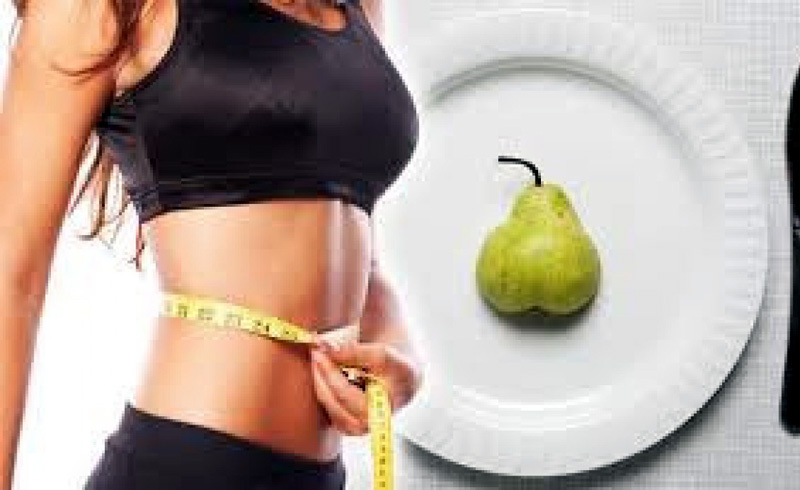 FMD puts the body in a fat-burning, ketogenic mode over the "fasting" period, explains Valter Longo, PhD, professor and director of the Longevity Institute at the University of Southern California and author of the new book The Longevity Diet ($27; amazon.com). "The average healthy adult can do an FMD cycle a few times a year and reap the benefits,” says Longo, who worked on the aforementioned trial. The caveat: Any diet that involves fasting or major eating changes is not recommended for pregnant or breastfeeding women. And it’s always a good idea to talk to your doc before making significant diet changes. The time-restricted feeding (TRF) concept is simple: Narrow the window when you consume food. A recent small study conducted by Peterson with the Louisiana State University’s Pennington Biomedical Research Center suggests that eating within a six-hour window may boost fat burn. Two other small studies found that even eating meals within an eight-hour period may promote fat loss. If this narrow time frame sounds like a freaky fad diet, don’t worry—Peterson says that a 10-hour window, like 8 a.m. to 6 p.m., is very doable and still works. A study in the International Journal for Obesity found that obese men who dieted two weeks on, then two weeks off for 30 weeks lost more weight than those who dieted continuously. These intermittent dieters kept the weight off for the long term, too. The mechanism at play isn’t totally clear, but it’s possible that “the body may not fully adapt to intermittent dieting in a way that would permanently slow down your metabolism,” Peterson says. You don’t even have to do two-week cycles. "We don’t know at this point what the ideal schedule is," Peterson notes. “To a degree, I think the scheduling depends on the person and her preferences.” So if, say, one week on, two weeks off seems more realistic for you, it’s fine to tweak the format to fit your needs. Peterson recommends giving it a couple of months for your body to adapt. Before you try this on-off strategy, remember this: You can’t eat whatever you want during your no-dieting period. "Consuming 5,000 calories just because it’s a ‘free’ week is not efficient. You still want to think about filling your body with whole foods," says Jennifer Cholewka, RD, senior clinical dietitian at the Mount Sinai Hospital in New York City. Popularized by the book Eat Vegan Before 6:00, by Mark Bittman, this scenario eliminates all animal products and focuses on eating vegan protein sources, vegetables, whole grains, and healthy fats until your evening meal. Plus, swapping animal protein for vegan sources slashes calories and saturated fat and has real weightloss potential. "When my clients break from consuming animal protein at all meals, they also realize how full they get when reintroducing it, so they often have a lot less at one sitting," Middleberg says. On the flip side, she points out that you need to make sure you’re still getting enough protein, carbs, and fat during the day so you aren’t ravenous at dinner and end up overeating. This plan is named after a book by the same name. (Benedict Cumberbatch and Jimmy Kimmel have both tried it.) A few studies have linked the regimen—which calls for eating normally five days of the week and only 25 percent of your typical calorie intake for two days of your choice—to weight loss and lower insulin levels. “If I were to try any part-time diet, the 5:2 plan would be my pick,” says Cholewka. "You’re responsible for remembering your eating schedule and keeping an eye on calorie counts, but you aren’t burdened by strict food lists." However, keep in mind that, as your body adjusts, you may feel the effects of hunger more acutely, she adds. Worried that severe restriction will get to you? Peterson reversed the plan a bit for herself. "In the past, when I lost weight, I did an approach where five days a week I would cut down about 15 percent of my calories," she explains. "Then I would eat healthy but normal for two days each week."